Making Ellie’s T-Shirt from The Last of Us « Adafruit Industries – Makers, hackers, artists, designers and engineers! 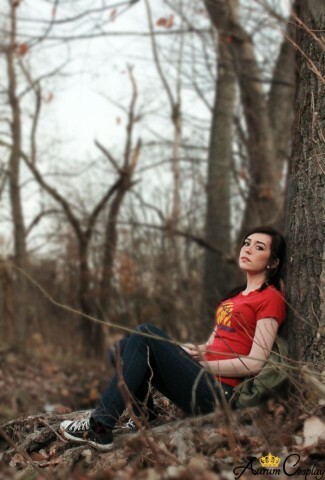 Ellie, a 14 year old girl from The Last of Us, wears a specific t-shirt throughout part of the game. You can approximate and simply wear a red shirt, but you could also paint the design on using freezer paper stencils. 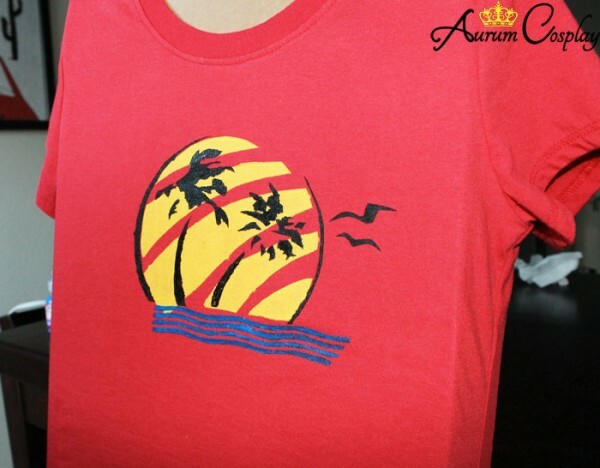 The graphic on the tee features an ocean and the silhouettes of two palm trees in front of the sun. 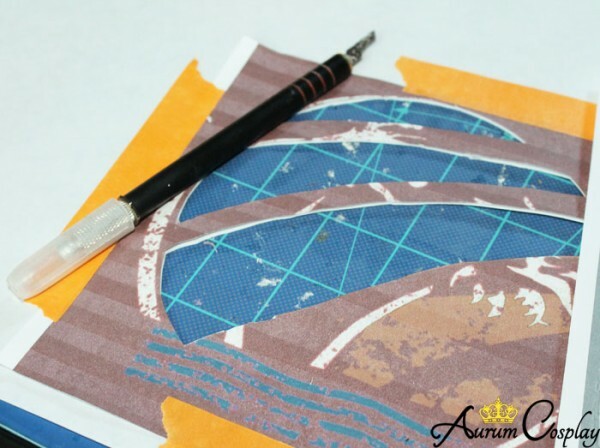 Kitty of Aurum Cosplay shared the image in a post and details how to make the stencil. Label each of them according to their color. 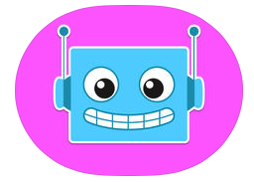 For each page, you will be cutting out the shapes that are all the same colors. So you should have a stencil with all of the yellow shapes cut out, one with the black shapes cut out, and one with the blue shapes cut out. They’re like layered puzzle pieces; you’ll be using one at a time to paint the corresponding colors with. Once you have all three of your stencils ready it’s time to start painting. Make sure you put your T-shirt over some cardboard to help stretch it out, and to keep the paint from seeping through to the other side of the shirt. I used an old box lid I had lying around. Then you’ll tape the yellow stencil to the t-shirt and iron the freezer paper on shiny side down; the heat from the iron will make the paper temporarily stick to the t-shirt. Then you’ll use the yellow paint and blot (not rub!) it on carefully with a sponge. You’ll probably have to do a few layers. Once it’s completely and totally dry, peel the butcher paper of the shirt and do the same stapes until the entire image is painted. Read more at Aurum Cosplay and keep in mind this technique is wonderful for making custom t-shirts.